Evolution, a fact rather than mere hypothesis, is the central unifying concept in biology. By extension it affects almost all other fields of knowledge and thought and must be considered one of the most influential concepts in Western thought. 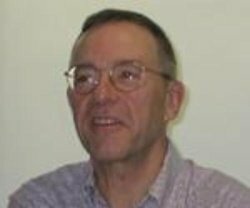 Bio: Douglas Joel Futuyma is an American evolutionary biologist. He is a Distinguished Professor in the Department of Ecology and Evolution at Stony Brook University in Stony Brook, New York and a Research Associate on staff at the American Museum of Natural History in New York City.